I can’t get enough of for rock and roll. I don’t mind travelling by bus. This adverb as we have seen is very useful in making what you say stronger. When talking about things you don't like though it can have a different meaning depending on where you put it in the sentence. "I really don't like it!" This means you have a strong dislike of something. "I don't really like it." This is not very strong. 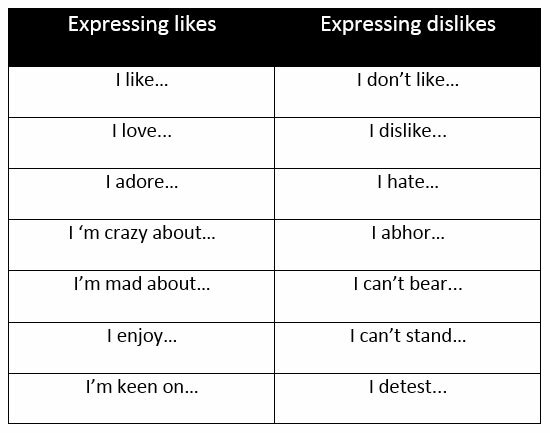 It means that you do not like something, but it is not a very strong dislike.